Interlogix has just expanded its video surveillance line to include IP and Megapixel cameras, both of which are PSIA and ONVIF compatible. 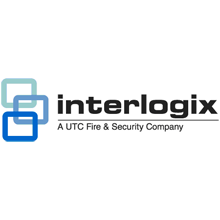 This comes as part of a continuing effort by Interlogix to provide a more robust IP solution to its customers. Interlogix offers these latest additions that help make a full line of network recorders, analog and network cameras as well as transmission equipment. These new cameras are TruVision IP open-standards cameras that offer a plethora of resolutions, including VGA, 2.0, 3.0 and 5.0 Megapixel models, all of which are capable of transmitting 1080p HD resolution in real-time. In addition to that, this complete line of cameras is now available in three consistent form factors that come with both indoor and outdoor vandal-proof housings. Fifteen of the seventeen new cameras support a local SD card in order to provide up to 32GB of onboard storage. This is not only extremely useful but also nearly double the amount of storage found on most cameras these days. The extra storage also provides a level of network redundancy in case of a connection failure. You can install these cameras for standalone, small or even temporary installations where a network connection to an NVR or VMS isn’t really an option due to the fact that the new cameras allow the video to be stored locally on the camera itself. In addition to that, these new cameras also support Power over Ethernet (PoE).